According to Deadline, Fox has just given series orders to two of the network’s hottest comedy pilots: Ghosted and LA To Vegas. 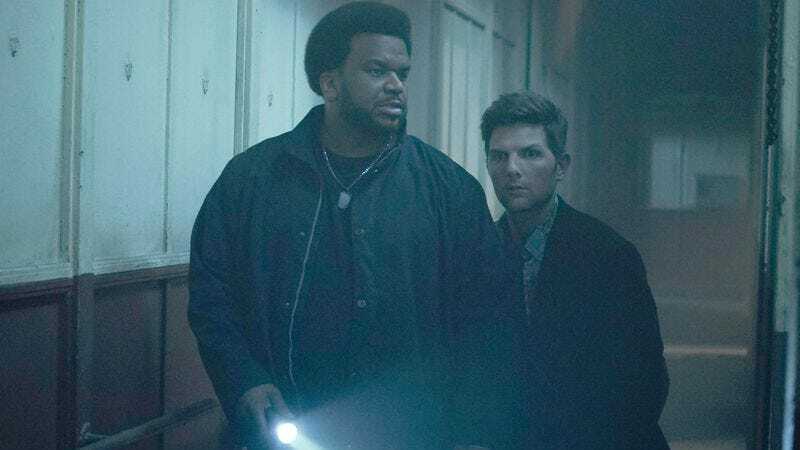 The former is billed as a comedic spin on The X-Files, with Craig Robinson playing a cynical skeptic and Adam Scott as a “true believer” who are enlisted by a secret organization to investigate supernatural activity in Los Angles. Naturally, there’s also some kind of overarching mystery that Scott and Robinson have to reckon with, because it wouldn’t be an X-Files parody without mythology. But there’s no word on if Ghosted will include its own spin on the Cigarette Smoking Man. Ghosted is written by That Awkward Moment’s Tom Gormican. The other series, LA To Vegas, is a workplace comedy about an airline crew that flies a weekly trek from Los Angeles to Las Vegas, ferrying a group of “eccentric passengers” back and forth. It stars Dylan McDermott, Ed Weeks, Kim Matula, and Peter Stormare, and its executive producers include reliably funny people Will Ferrell and Adam McKay. Also, fans of news about TV pilots may recall that LA To Vegas was originally announced with the irritatingly stylized name LA —> Vegas, but it looks like the network has wisely decided to go with something much more Googleable.